As your company grows so too should your market presence. An excellent way to achieve that goal and not affect the daily operations of your growing company is to outsource creative services. High quality creative design projects can help to catapult your company’s presence into the stratosphere. 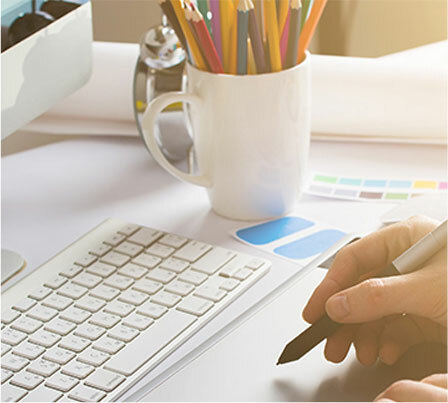 The proper design and implementation of a professional marketing strategy is a key rung on your ladder to continued success and Back Office Pro is here to provide you with the skills and expertise to get you on your way. The most important thing to remember in any creative design project that you outsource is that it is YOUR project. Your voice, tone and branding should be the focal point of any campaign that you undertake. Back Office Pro understands this and strives to help you maintain that tone throughout the process. We start with a promise Quality is never compromised at Back Office Pro. When developing schedules or requirements for a project, we always put quality ahead of everything else. We consult with you, our client: We listen. We identify your goals, and we give you every possible opportunity to weigh in and give feedback and instruction. You aren’t customers, you’re partners on this project. We get to work This is more than just a living for us, it’s fun, it’s adventure, it’s our livelihood. We get excited about each new project and we stand behind all of our work – and we simply will not deliver a project we’re not absolutely confident in. Period. We consult with you, our client We listen. We identify your goals, and we give you every possible opportunity to weigh in and give feedback and instruction. You aren’t customers, you’re partners on this project. We assess our tools If there are any gaps, we acquire the tools we need and any training that might be necessary. Competitive pricing: We guarantee the best possible pricing for the best possible service. Range of services: We define the term ‘full service.’ Whatever you need in the print & design sphere, we’re the place to get it done. Best customer service: You simply won’t have a better experience anywhere else. Experience: We have done it all, and done it at the highest possible levels of quality and delivery. Technology: We don’t just keep up with trends, we lead the pack. New tools, technology, and techniques are being devised all the time, and we’re at the forefront of it all. Resources: Our teams are fine-tuned to be efficient, but we ensure they have every tool and resource they could need. You’ll never hear excuses from us. Satisfaction guarantee: It’s simple: We guarantee you’ll be pleased with our work. Our initial consultation process will help our talented team determine what creative designs will best suit your company’s voice. With professional designs to compliment your tone you can take that next big step and grow your company’s branding recognition in the marketplace in no time at all. Your voice and our talent make for an excellent partnership. Contact us today to begin the partnership that will bring your ideas to stunning life.